Here’s another recipe from the archives for a Christmas dessert. 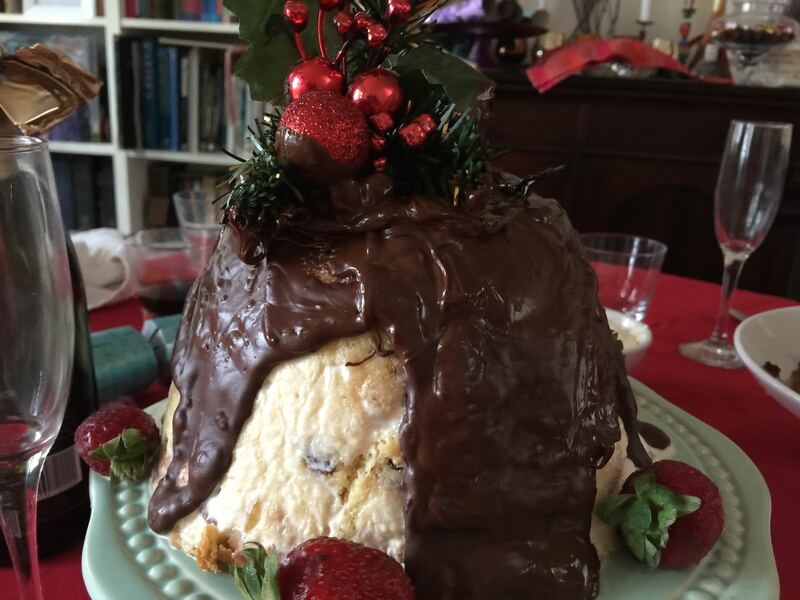 It’s a lovely Jamie Oliver ice cream bombe from 2013. 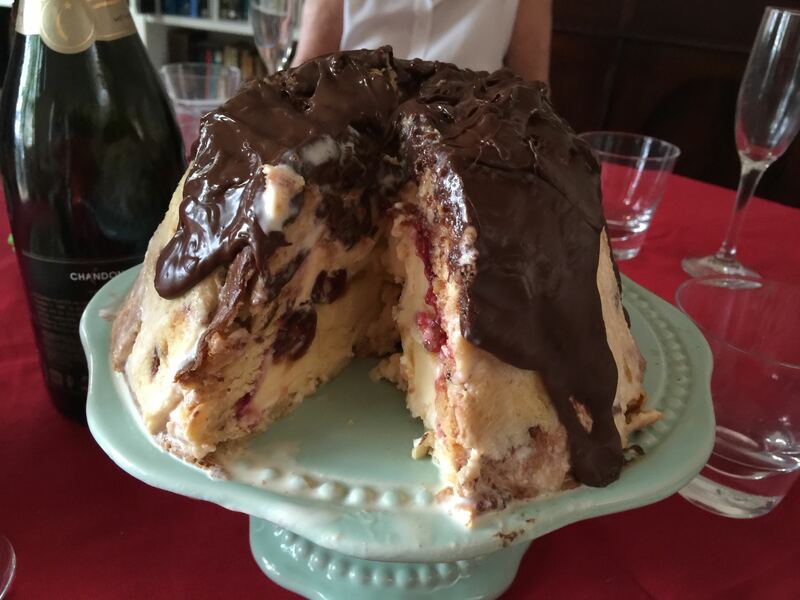 This cherry cheesecake semifreddo bombe is pretty spectacular when frozen in a domed bowl and then turned out. And a cold alternative to a traditional hot Christmas pudding or perhaps serve both – that’s what I usually do! I remember finding this dessert from a magazine of Christmas recipes produced by Woolworths, our Australian supermarket for whom Jamie is the signature chef, so the recipe was created as a seasonal dessert for Australia. Jamie has combined three great ideas – cherries, luscious cheesecake and semifreddo for all who love ice cream. It’s an easy recipe but you need to be prepared for a quite a few steps, and of course freezing time overnight. I used frozen pitted cherries rather than fresh (simply to save time pitting the fresh cherries). Posted in Cakes, Dessert, Ice Cream, Jamie Oliver, Sweet Food and tagged festive, ice cream, ice cream bombe, pudding. Bookmark the permalink. I found this recipe just before Christmas and it seemed the perfect solution to finding a new yummy dessert for Christmas lunch. 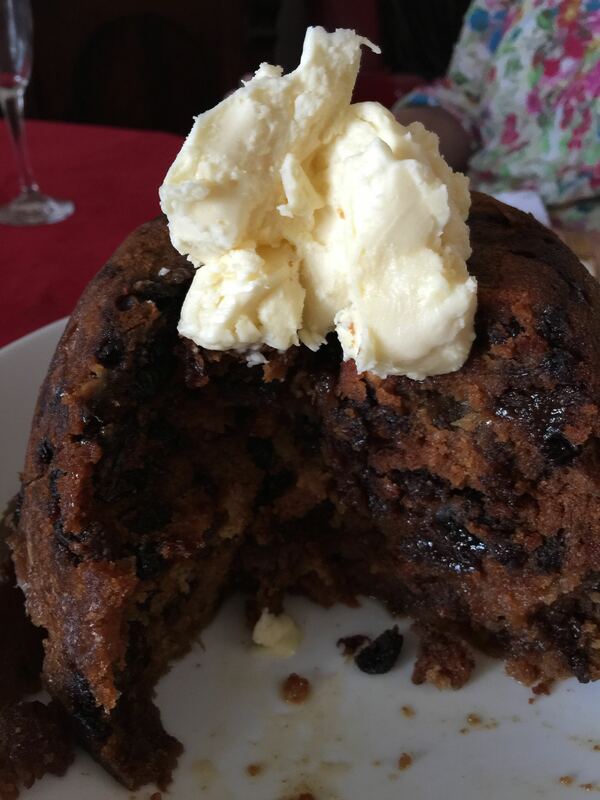 I already had a sensational Christmas pudding – more of that in another post – and I was looking for something cold and sweet and a bit different. Posted in Dessert, Ice Cream, Jamie Oliver, Sweet Food and tagged berries, Christmas, cream cheese, dark chocolate, ice cream, ice cream bombe, Jamie Oliver, pudding. Bookmark the permalink.